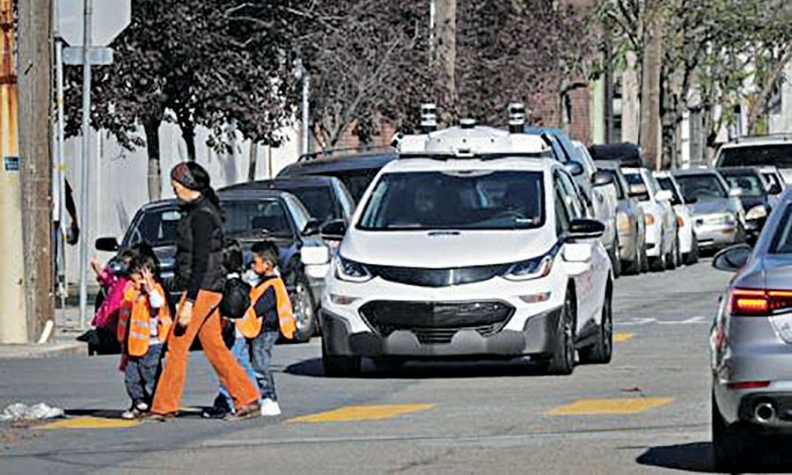 A self-driving Chevrolet Bolt in tests on the streets of San Francisco. GM believes personally owned self-driving vehicles will be a big business in the future, especially in sparsely populated rural areas where ride sharing may not reach for years. General Motors, which plans a ride-sharing fleet of robotaxis for next year, is looking at further business opportunities for self-driving cars, such as custom designs that could be almost unrecognizable from those of today, a top executive said on Thursday. Custom-designed vehicles could be owned or leased by individual customers, including those outside of large cities, and used in peer-to-peer car sharing applications, said Mike Ableson, GM's vice president of global strategy. GM is "thinking about several models" to drive revenue from self-driving cars, according to Ableson, speaking at Citi's Car of the Future conference in New York. Ableson, one of the key architects of GM's future transportation business, said self-driving cars used for ride sharing "are going to evolve quickly into purpose-built vehicles" that do not look like conventional cars. Early leaders in deploying self-driving cars, such as GM and Google affiliate Waymo, "will have the opportunity to take a lead in new business models that will drive their companies' profitability," said John Hoffecker, vice chairman of consultants AlixPartners. Ableson said GM believes personally owned self-driving vehicles "will be a big business in the future," especially in sparsely populated rural areas where ride sharing may not reach for years. GM's commercial ride sharing business is expected to drive down the cost of self-driving cars in the future, Ableson said. Affordability is seen as the biggest challenge in extending ownership of self-driving cars to individuals. But they might elect to put their vehicles into a peer-to-peer sharing service, such as those proposed by Tesla and GM, and share revenue with the companies that operate those services.